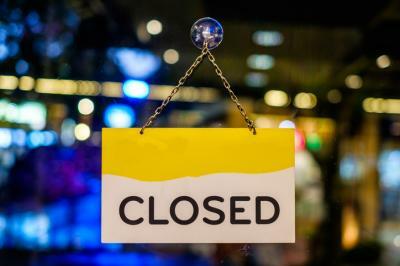 Branch Closures - Do You Need Them? ABA research finds 71% of baby boomers use online banking services at least 1x per week. This is on par with both Gen X and Gen Y. This is extremely important to community banks, who know that boomers also control about 67% of all bank deposits. Given the shifting nature of technology and the way people keep learning and changing their behaviors, should community banks be thinking more aggressively about closing branches? Certainly, community banks pride themselves on maintaining the sort of "high-touch" personal relationships with their customers that larger rivals struggle to offer, despite their deeper pockets and their technological advances. For many community banks, this is also an important market differentiator. So, how do community banks reconcile that fact with the possibility of branch closures due to technological advances? With fewer customers entering the branch as they flock to online and mobile alternatives, and the growing need to cut costs, it seems that even for community banks the question may not be "if" you will need to close branches, but "when". In the face of widespread predictions that as many as 50% of bank branches will close in the next few years, community banks are weighing their options. Given a trend of fewer branches overall and a greater commitment to their role in the localities that they serve, the choice to close branches for community banks is very difficult. When considering branch closures, there are several things to consider. First and foremost, the profitability of the branch needs to be assessed. Even if the industry is moving in one direction, your branch could be servicing an area expecting higher personal service or supporting a large specialized business group that requires more one-on-one interactions. Knowing this and seeing profitability to support this could convince you to keep that branch. To begin the analysis, make sure to understand not only the profitability of each branch, but also if any future developments would call for these branches to be closed. After all, according to Mercator Advisory Group, the set-up cost of a bank branch is about $2mm to $4mm, so you don't want to close one too soon. Another consideration is proximity of your branches to each other. As a community bank, you may have two or more branches within a certain area to serve the broader community. Ask yourself if they are all utilized to their potential and then crunch the numbers. Given $400k in annual operational costs per branch or so, all banks are looking at proximity as one of the factors to optimize customer service while minimizing costs. It can be a fine line between efficiency and profitability. Experts say that bank management must not only consider which service areas have the greatest number of existing customers and the best future opportunities - but also look at who those customers are. Naturally, online and mobile use tends to skew younger, so look at your bank customer demographics along with your community demographics to see which direction your customer base is going. If you find some of your customers gravitating towards the convenience of the ATM and digital banking, you may want to consider the opportunities for educating them about your technological offerings. This could serve as a means to incentivize them to stay vs. losing them to another bank. A recent Gallup survey showed that 25% of customers who used the personal banking channel were in fact ready to consider the digital options available. If your bank is ready for this transition with your customer, you can mitigate the potential customer loss that might otherwise come with branch closures. Although this is not an easy topic to consider, you and your board have most likely thought about, if not already discussed, the possibility of branch reductions. It may not be inevitable for your bank, but it is good practice to go through a branch review process. Assessing how each branch serves the community, along with its profitability, will allow you to make the right decisions for the longevity of your bank and customer needs. Yields plummeted 10bp as investors sought safe assets while evaluating the latest political news. KPMG research around the banking industry finds the primary reasons cited as priorities for transforming the physical bank branch experience are: deploying digitally enabled self service capabilities for teller transactions (37%), deploying digitally enabled self service capabilities for account opening and maintenance (35%), investing in branch technology to increase operational efficiencies (15%) and redefining banker roles (9%). The latest Fed senior bank loan officer survey finds banks tightened credit for commercial real estate in Q1. Overall about 32% said they tightened standards on construction and land, 36% tightened on multifamily and 13% tightened on nonfarm nonresidential. Reasons cited included such things as uncertainty around property prices and vacancy rates. A Bank Director survey of executives and directors finds 43% say their bank is willing to pay highly for talented commercial lenders but the same percentage say there aren't enough talented ones in their market. A Fed roundtable event on CECL indicates regulators expect bankers next year to have assigned resources to this issue, have set up a committee, developed a plan and estimated the impact through capital planning.